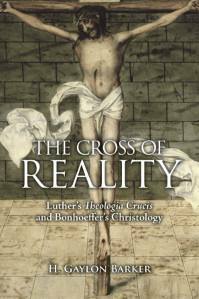 The Cross of Reality investigates Bonhoeffer’s interpretation and use of Luther’s theology in shaping his Christology. In this essay, H. Gaylon Barker uses the “theology of the cross” as a key to understanding the characteristic elements that make up Bonhoeffer’s theology; he also shows how Bonhoeffer’s conversation with his teachers and contemporaries, Karl Holl and Karl Barth in particular, develops. Bonhoeffer’s thought was indeed radical and revolutionary, but it was so precisely because of its adherence to the classical traditions of the church, especially Luther’s theologia crucis. When his theology is understood in light of this tradition, his “nonreligious interpretation,” which he set out to describe in his theological letters from Tegel prison, is not a radical departure from his earlier theology, but is the mature expression of his “theology of the cross.” Bonhoeffer’s Lutheran roots would not allow him to turn his back on the problems and tragedies of the world. In fact, because God had turned toward the world, had entered into the world and identified with suffering individuals, the only proper sphere for theological reflection was this world. Theology properly conceived, therefore, is very this-worldly. It is this worldly character that gives it its power to speak.